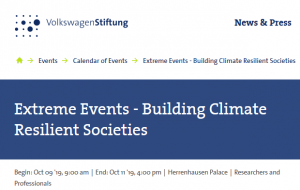 The Herrenhausen Conference “Extreme Events: Building Climate Resilient Societies” will take place in Hanover, Germany, on October 9-11, 2019. The overall objective of the conference is to elucidate the relations between climate extremes, societal resilience, and sustainable development goals. This activity seeks only senior PhD students (who will graduate in less than two years) and early career scientists (normally in an early stage of career) in a relevant field. 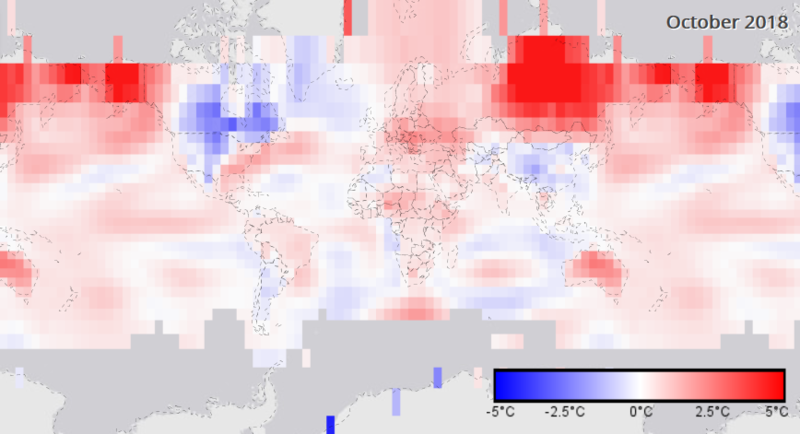 NOAA National Centers for Environmental Information, State of the Climate: Selected Significant Climate Anomalies and Events 2018.